Health & BeautySwanson Full Spectrum Moringa Oleifera 400mg - 60 kaps. 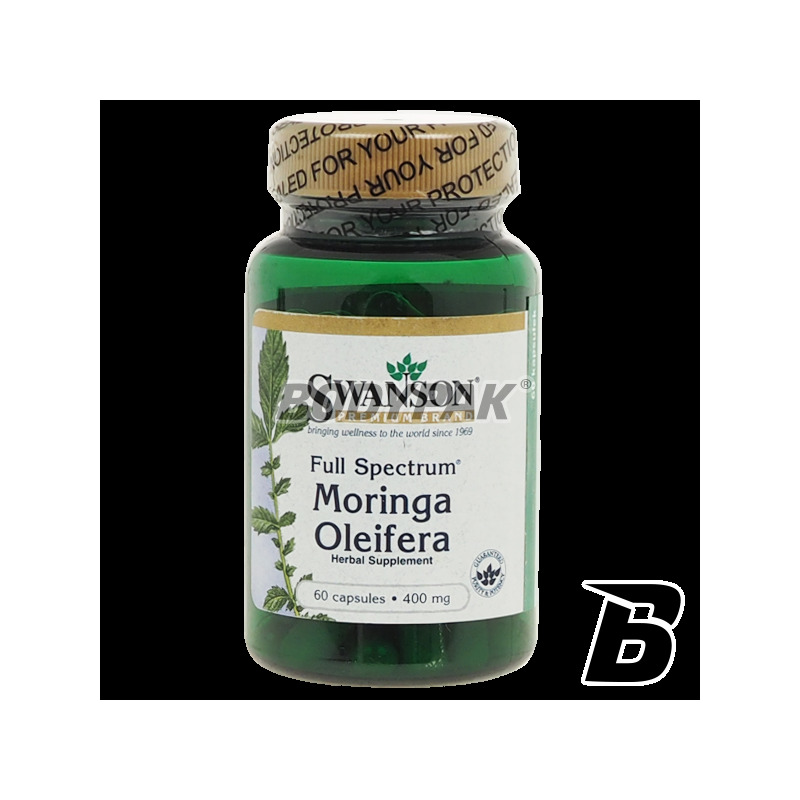 Swanson Full Spectrum Moringa Oleifera 400mg - 60 kaps. Swanson Full Spectrum Moringa Oleifera - moringa oleifera capsules Moringa Oleifera is a tree species considered "tree of miracles" because of its unusual properties. MORINGA OLEIFERA IS CALLED "TREE ETERNITY"
Swanson Moringa Oleifera contains a list of tropical tree called "the tree of miracles" - moringa oleifera. According to Hindu tradition, the leaves moringi olejodajnej are able to cure many diseases and are used by more than 300 ailments. The extraordinary resistance to ekstramalne conditions, as well as a wealth of nutrients make Moringa Oleifera tree is only as useful and valuable for man. 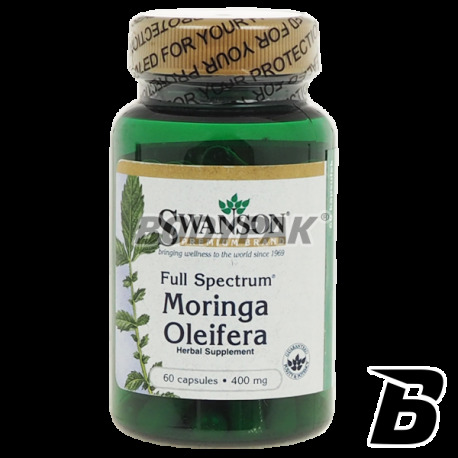 Moringa Oleifera Swanson Capsules are widely used in active persons due to nutritional or pharmacological properties. Activlab Pharma Sylimaryna Extra 70mg - 30 kaps. Swanson High Potency Apple Cider Vinegar 625mg - 180 kaps. Apple Cider Vinegar - is a dietary supplement that supplements the diet with apple cider vinegar, helps to reduce weight. Swanson EFAs Flaxseed Oil [Olej lniany] 1000mg - 200 kaps. Trec ALA 250 - 60 kaps. Highest quality alpha-lipoic acid (ALA) in easy to swallow capsules. Excellent antioxidant that supports the body against free radicals! Olimp Beta-Solar - 30 kaps. Trec Tyrosine 600 - 60 kaps. Tyrosine 600 a beneficial effect on memory and concentration, and improves the process of burning fat.